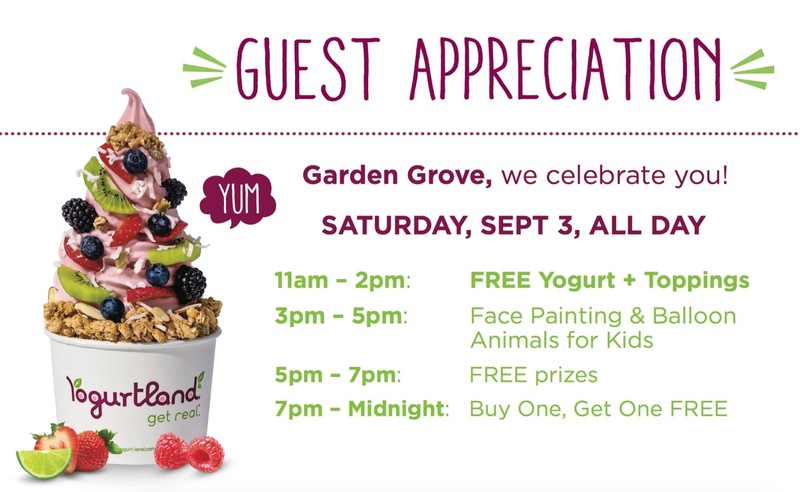 GARDEN GROVE YOGURTLAND THANKS GUESTS WITH FREE YOGURT ON SEPT. 3RD - EAT WITH HOP! GUEST APPRECIATION DAY IS HAPPENING ON SEPTEMBER 3, 2016 ALL DAY! There is gonna be a lot of fun deals for everyone to enjoy! Will I see you there? 11am - 2pm - free yogurt + toppings! 3pm - 5pm - face painting + balloon animals for kids! 7pm - Midnight - buy 1 get 1 free yogurt! I've been to these events before and I spun the wheel and won a giant Yogurtland spoon. I still have it, and still use it (actually my mom uses it). I love the Garden Grove Yogurtland location because they usually have Green Tea flavor! Woo! I expect this event to be crowded because they are offering free stuff! The plaza itself is already packed and full of some crazy drivers that make their own parking spots so be careful! 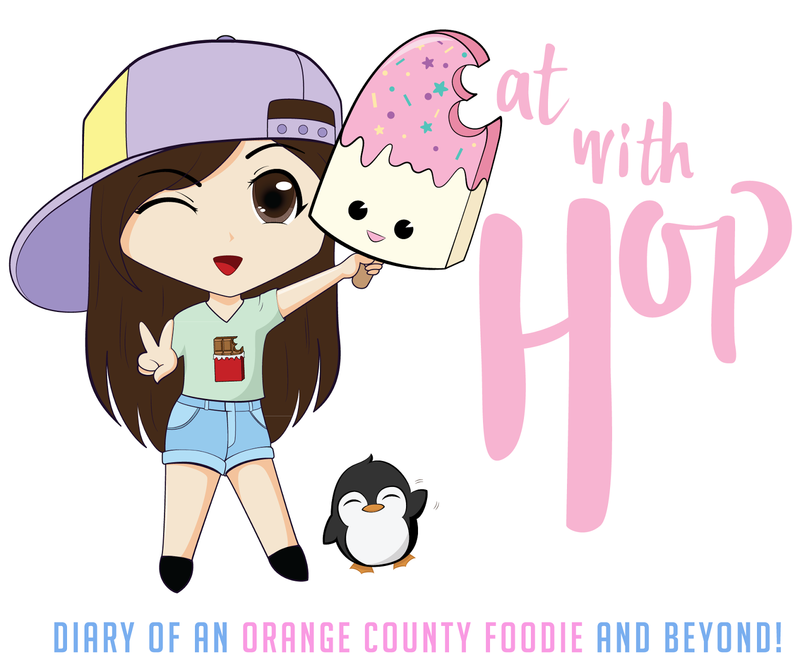 *Same plaza as Boiling Crab, Tebo Tebo, Baos Hog.